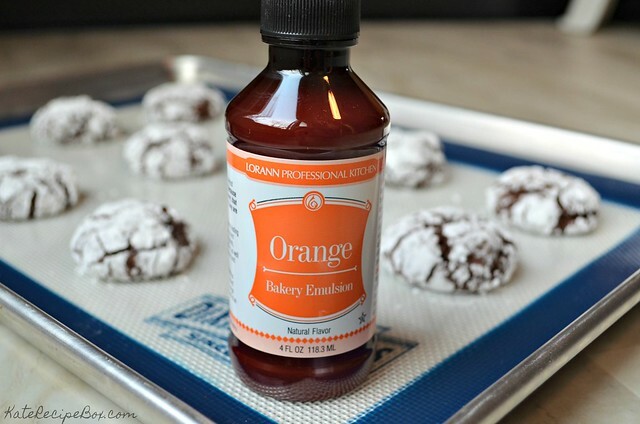 The bright orange flavor in these cookies are thanks to LorAnn Orange Bakery Emulsion. Unlike an alcohol-based extract, their bakery emulsions are water-based, so the flavor won’t bake out. 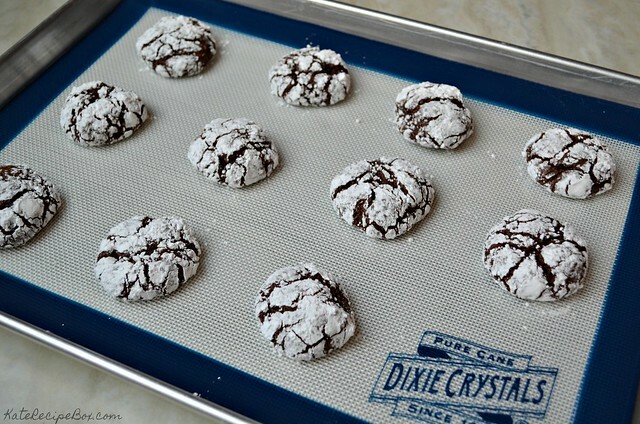 The beautiful look of these cookies is thanks to being rolled in Dixie Crystals powdered sugar before baking. 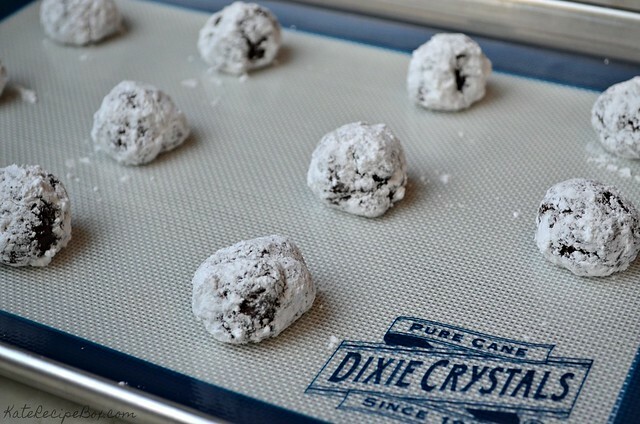 They puff up when the bake, giving the distinct “crinkle” effect. 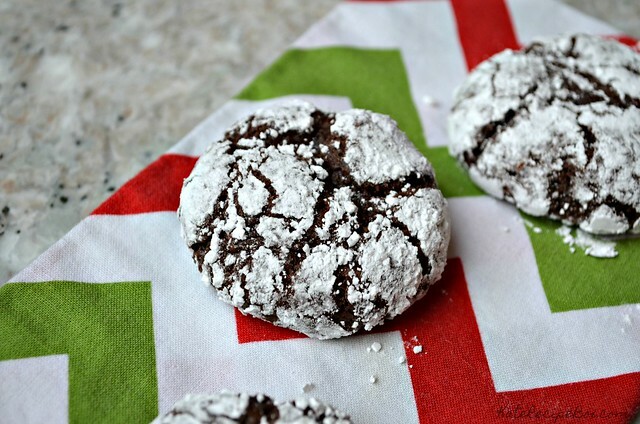 The contrast between the dark chocolate dough and the white powdered sugar makes for a really stunning effect. In the bowl of a stand mixer, beat together the cocoa powder, white sugar, and oil until it comes together. Beat in the eggs one at a time. Stir in the vanilla and Orange Bakery Emulsion. In another bowl, whisk together the flour, baking powder, and salt. Slowly mix into the wet ingredients until just combined. Cover dough with plastic wrap and chill for at least four hours. When ready to bake, preheat your oven to 350 degrees. Roll dough into 1″ balls. 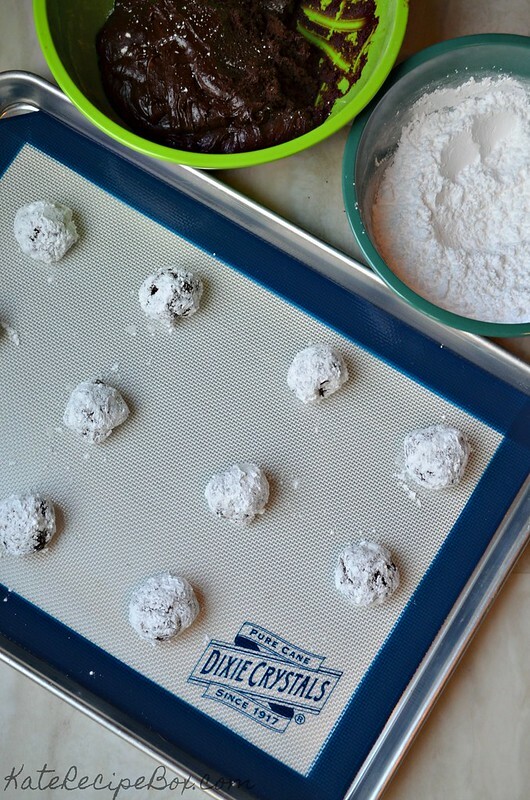 Roll each ball in powdered sugar to cover, and place on a parchment-lined cookie sheet. Bake for 10-12 minutes. Cool for a few minutes, then transfer to a baking sheet to cool completely. Pingback: Merry Mistletoe Cocktail #ChristmasSweetsWeek - Who Needs A Cape?